Badfinger's second album No Dice kicks off with "I Can't Take It," a rocker that signaled even if Badfinger still played pop and sang ballads, they considered themselves a rock band. What gave Badfinger character is they blended their desire to rock with their sensitive side instead of compartmentalizing. Even when they rock on No Dice, it's never earthy, like, say, the Stones. Badfinger's very sensibility and sound is modeled after the early British Invasion, where bands sang catchy, concise love songs. 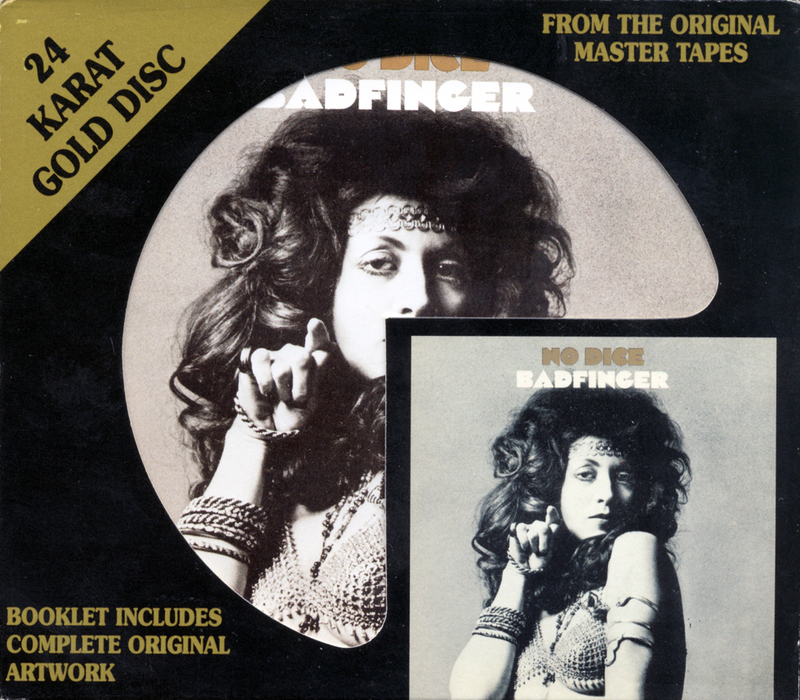 Yet there's a worldliness to their music absent from that of their forefathers, partially because Badfinger styled themselves as classicists, adapting the sound of their idols and striving to create a similar body of work. No Dice bears this out, boasting old-fashioned rockers, catchy pop tunes, and acoustic ballads. On the surface, there's nothing special about such a well-crafted, sharply produced, straight-ahead pop record, but the pleasure of a power pop album is in the craft. 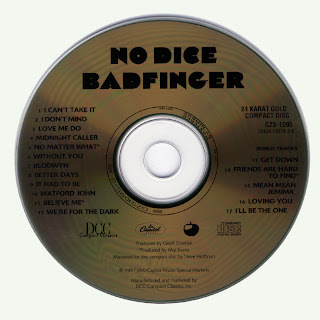 No Dice is not without flaws -- a byproduct of an all-writing, all-singing band is that some songs don't measure up -- but it does achieve the right balance of craft, fun, and emotion, due in no small part to Pete Ham's songwriting. Ham dominates the record, providing note-perfect openers and closers, along with the centerpiece singles "No Matter What" and "Without You," the latter a yearning, painful ballad co-written with Tom Evans. Collaborating with new guitarist Joey Molland, Evans wrote two other excellent songs ("I Don't Mind," "Better Days"), while Molland's own "Love Me Do" chugs along with nice momentum. Still, the heart of the album lies in Ham's work.. He proves that songcraft is what separates great power-pop from good, and it's what makes No Dice a superb pop record. This DCC gold disc version sounds very nice. Thank you!